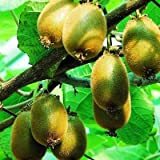 Hardy kiwi growing vine of the genus Actinidia also known as Baby kiwi or Actinidia arguta, Hardy kiwi perennial deciduous plant also used as ornamental plant and grow in temperate climate and growing in hardiness zone 3-9a. Flower color white-cream, the size 0.3-0.7 mm the flowers grow in clusters there are female flower and male that grow on separate plants there are some cultivars that don’t need males. 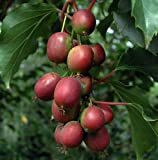 Fruit edible the size 1-3 cm, the peel also edible and the color of the fruit is green. 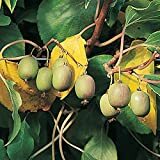 Hardy Kiwi Vine 'Issai' - Self Pollinating Female, 1 Gallon Live Plant Shipped Bare Root. Will produce delicious fruit without a pollinator. 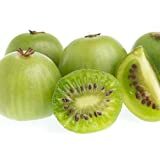 What can be done with big quantities of Hardy kiwi fruits?